Moncure Daniel Conway (1832-1907), the son of a Virginian plantation-owner, became a Unitarian minister but his anti-slavery views made him controversial. He later became a freethinker, and following the outbreak of the Civil War, which deeply divided his own family, he left the United States for England in 1863. He gained a reputation for being the 'least orthodox preacher in London', and was acquainted with many figures in the literary and scientific world, including Charles Dickens and Charles Darwin. 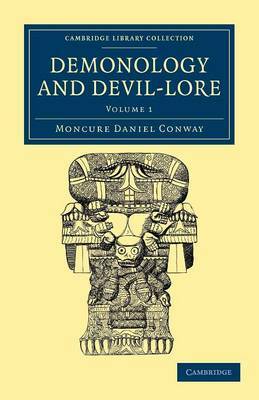 In this two-volume work, first published in 1879, Conway draws from examples across the world to discuss the origins and decline of beliefs in demons. In Volume 1, he classifies types of demon and argues that the various types are personifications of the main obstacles to 'primitive man': he finds in mythology across the world examples of animal demons and demons of hunger, fire and disease.